Global styles converge in one fabulous pair of pants! Woven exclusively in the ancient city of Fez, Moroccan sousde is the cashmere of cottons and, we think, downright addicting. 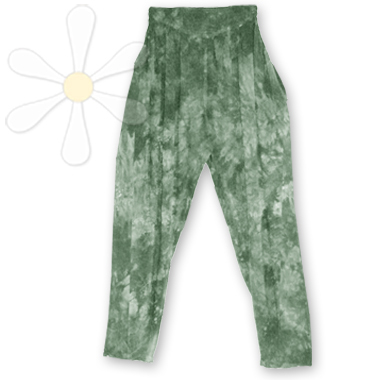 These tapered-leg pants feature a decorative and flattering front yoke, comfortable wide elastic waist around the back, stitched in three rows for ultimate comfort. Ah... You'll feel as if you just stepped out of a Saharan souk, a Middle-Eastern bazaar, or one of Scheherezade's Arabian tales!